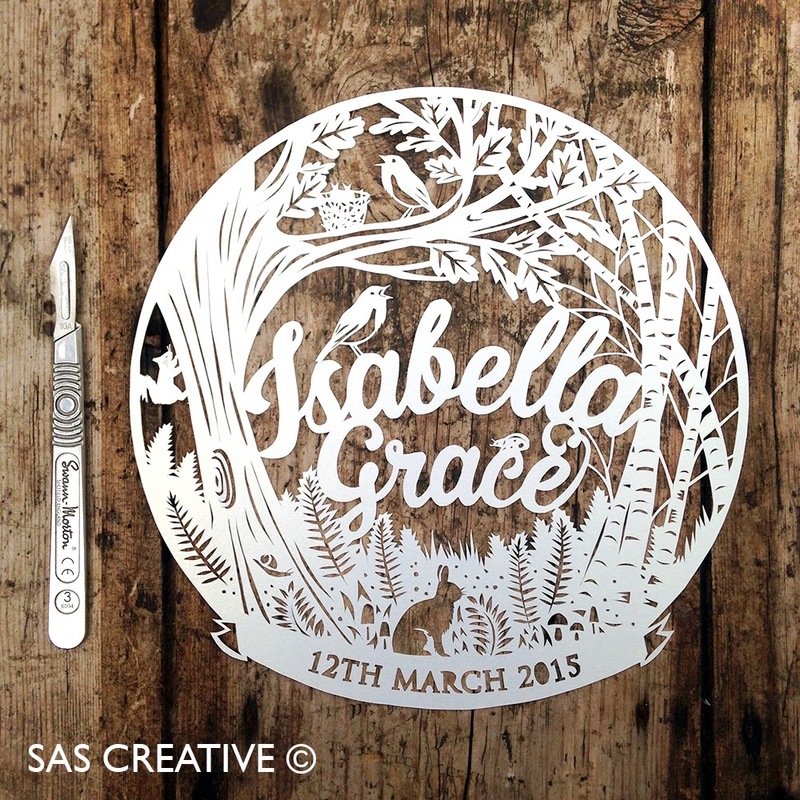 My new woodland themed paper cut is now available as a personalised template and can also be ordered as an actual machine cut paper cut ready to frame. 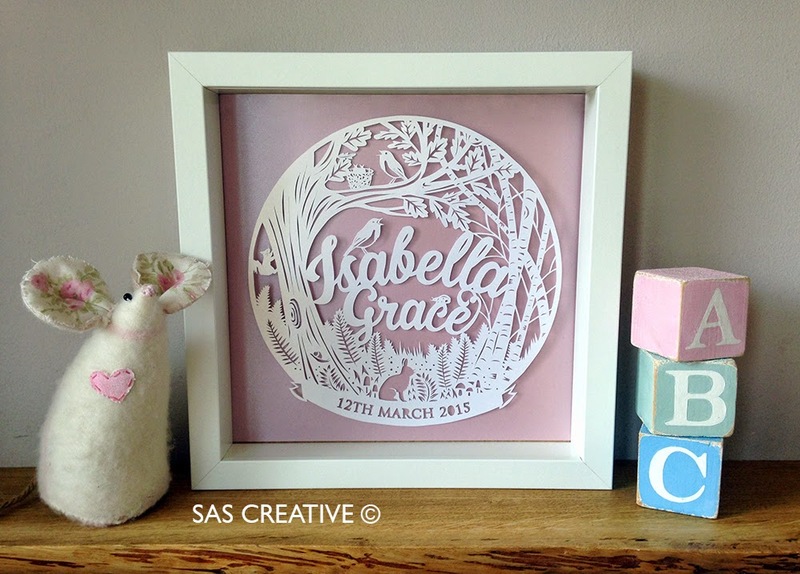 This design incorporates lots of inspiration from The New Forest and can be gifted to either a baby boy or girl. 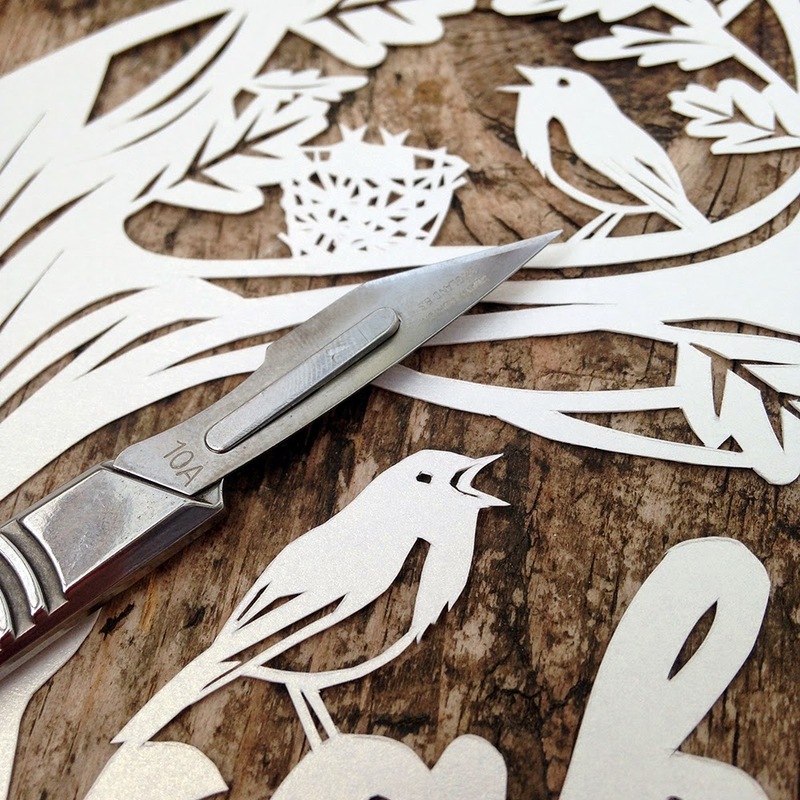 I would say this was an intermediate level for cutting but all beginners welcome of course. 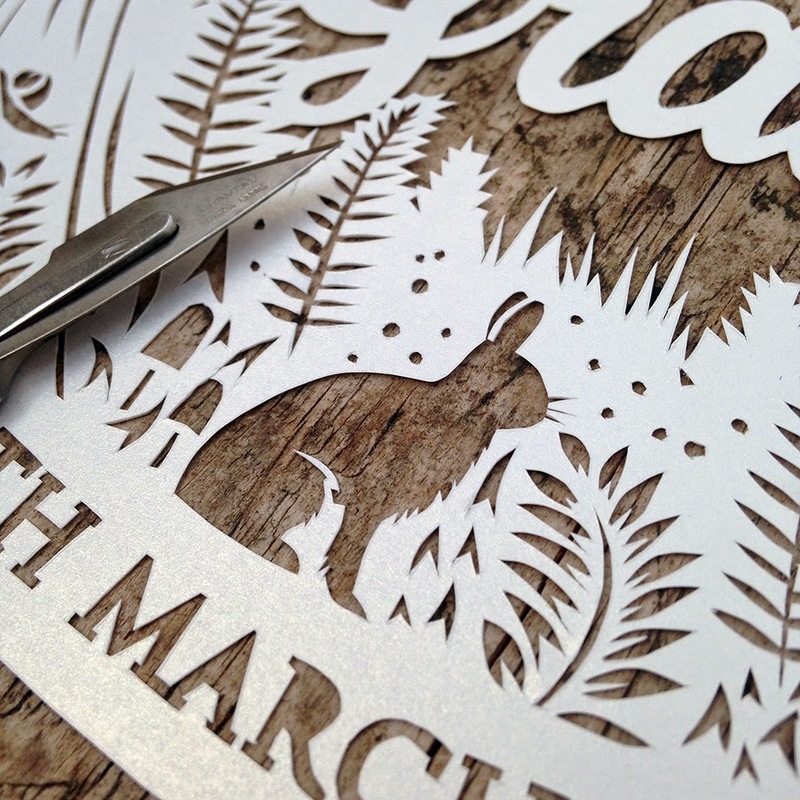 Please allow 1-3 days for me to receive your order and get it booked in before sending you your template to cut from. 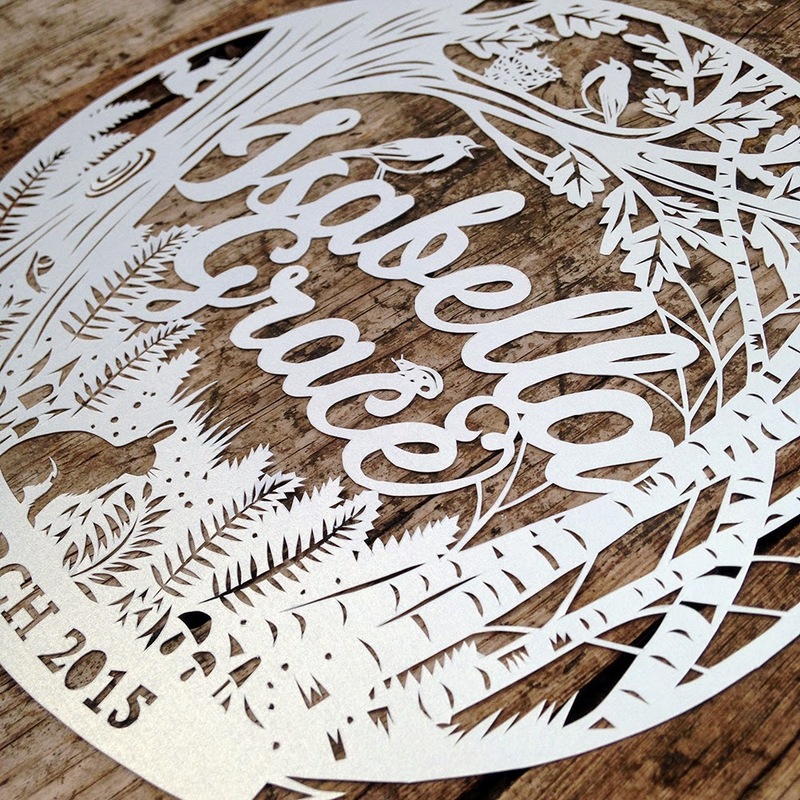 This can be provided as a PDF, Jpeg or SVG file for use with cutting machines.